3000-joule surge protection rating – More joules mean more protection! 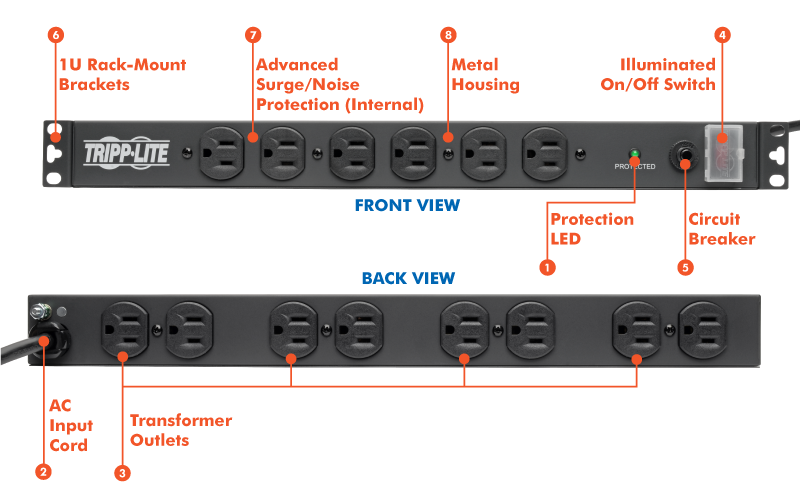 This surge protector is perfect for IT equipment and electronics of all kinds, including computers, monitors, printers, servers, wireless routers, televisions, video game consoles, streaming media players, sound systems, device chargers, desk lamps and small appliances. If the green protection LED ever goes out, simply return the surge protector to Tripp Lite for a free replacement. And if you ever have a question, our Chicago-based tech support team is standing by ready to assist you free of charge.